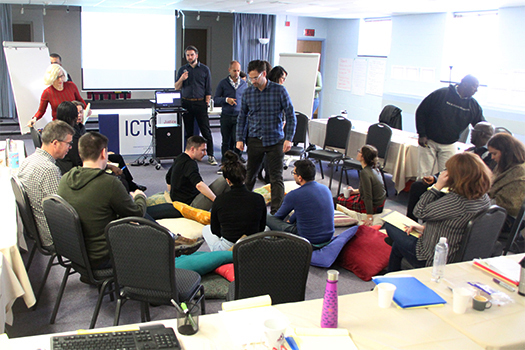 The retreat offered an opportunity for the organization to come together and share knowledge on how to meet current challenges in countries navigating transitional justice. Over five days of sessions, experts and headquarters staff engaged in spirited discussions on cross-cutting transitional justice themes. 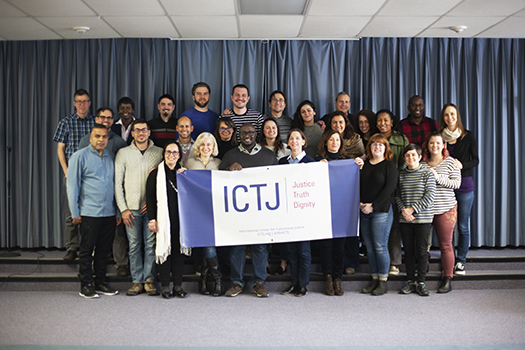 In these modules, staff compared perspectives and experiences within ICTJ’s global programs. A review of operational processes was also on the week’s agenda, which yielded important collective insights on organizational development and sustainability. Other topics included the role of social and economic rights in transitional justice solutions, strategic programming related to the missing and disappeared, and the pursuit of accountability for gross human rights violations through traditional and alternative legal mechanisms. During the week, participants also discussed gendered approaches to transitional justice as well as challenges to attaining gender parity in organizations leading justice efforts. Some of the most thought-provoking debates focused on the contribution of transitional justice to the prevention of violence and human rights violations and the relevant Sustainable Development Goals (SDGs). Senior Researcher Roger Duthie and Head of Office in The Hague Santa Falasca shared their experiences as members of the Working Group for Transitional Justice and SDG16+ and in writing the report that will be submitted to the Task Force on Justice. 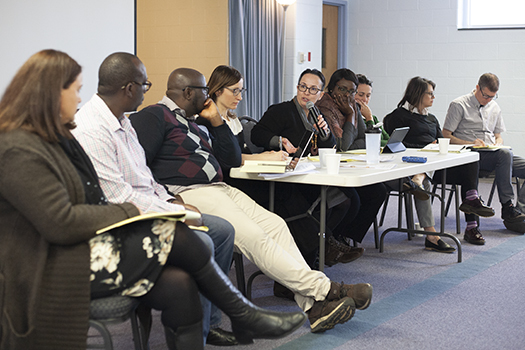 Heads of Offices from Colombia, Côte d'Ivoire, The Gambia, Kenya, and Uganda also shared their perspectives on the tension between development and human rights and the practical utility of the SDGs as a policy and advocacy tool for advancing transitional justice within their specific country contexts. Participants acknowledged that, because the indicators and targets of the SDGs do not adequately account for past human rights violations, there are limitations to using them to measure progress toward achieving justice and redress for past harms. “Justice-themed development indicators often fail to measure the actual vindication of rights,” offered Sarah Kasande of ICTJ’s Uganda office. “Uganda is working to make it clear that to achieve Goal 16 of the Agenda, the country will have to face up to its past,” she said.